New business investment is a dwindling area. As the credit crunch bites, any investor worth their salt has been tightening their belt. It has become progressively more difficult to secure funding for any new business, and a photography business is no difference. This is not to say, however, that new business investment is not available – it just means that there is an even greater necessity to be creative in your pitch. When looking for new business investment, there are a number of potential avenues that you could follow. The most common of these is the high street bank; traditionally, the first port of call for most start ups in need of funding has been the bank manager. If you are looking to secure fairly modest funding then this might well be the best option. Start up costs for a photography business can vary wildly depending on the nature of the business. Many photographers already have much of the equipment that they require before they turn professional. However, if you are starting a studio, for example, you are likely to need new lighting systems, automation, backdrops and so on, as well as sufficient money to cover overheads such as telephone and Internet access. Banks are still offering new business investment, but they are less willing to finance ventures that do not have some sort of existing track record. It has been shown that the personal financial and employment history of the business owner will be looked at in great detail if the start up is a small one. As such, banks are increasingly looking to finance only those who have proven form in business. Furthermore, any new business investment secured from a bank will be subject to interest rates not vastly dissimilar to those associated with personal loans. As such, this may not be an option if you are looking for significant investment. 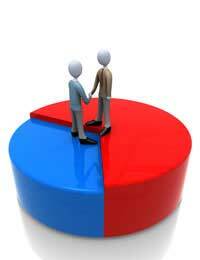 Another potential option is to approach a third party investor. There are many private individuals who are looking to offer new business investment, and the terms offered by these investors may well be more attractive than those offered by a bank. Rather than interest, for example, they may try to negotiate the acquisition of a percentage of your business, or a percentage of its profits. This type of investor has become more visible in recent years through the growth of ‘business angel’ agencies, which try to match interesting start up businesses with potential investors. It is vital to remember that any investor will receive a huge number of proposals on a regular basis. In order to make your photography business stand out you should be giving consideration to who you approach and the way in which you approach them. Anecdotal evidence clearly demonstrates that it is easier to secure new business investment if you target those with an existing personal interest in the field in which your company is operating. If at all possible, therefore, you should consider approaching investors who are, for example, patrons of photographic organisations. Once you have identified your ‘targets’, you should think long and hard about your business plan and proposal. What are the features of your idea that make it unique; what is it about your business model that makes it a commercially viable prospect? Investors are faced with a deluge of derivative business plans on a daily basis – in order to secure funding, you must ensure that yours is not one of them.